New for Porsche '99-05 996 and '05-'08 997 / 997s Normally Aspirated carrera - Available now! 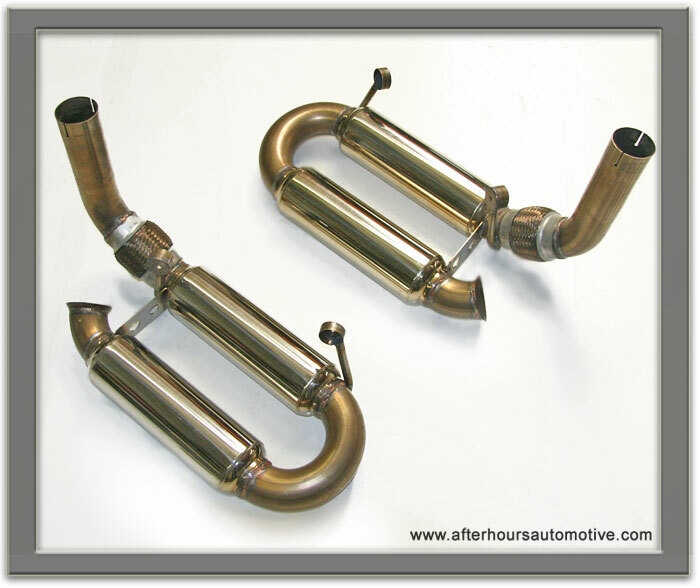 Exclusively hand made by AfterHours Automotive, a new concept in Porsche sport muffler design that reduces weight, improves performance across the RPM band, and gives authoritative agressive sound to your normally aspirated Porsche. 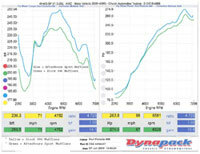 The perfect solution for those who want "Cup Car" sound at WOT, noted performance gains and a very liveable daily driving experience inside the car. 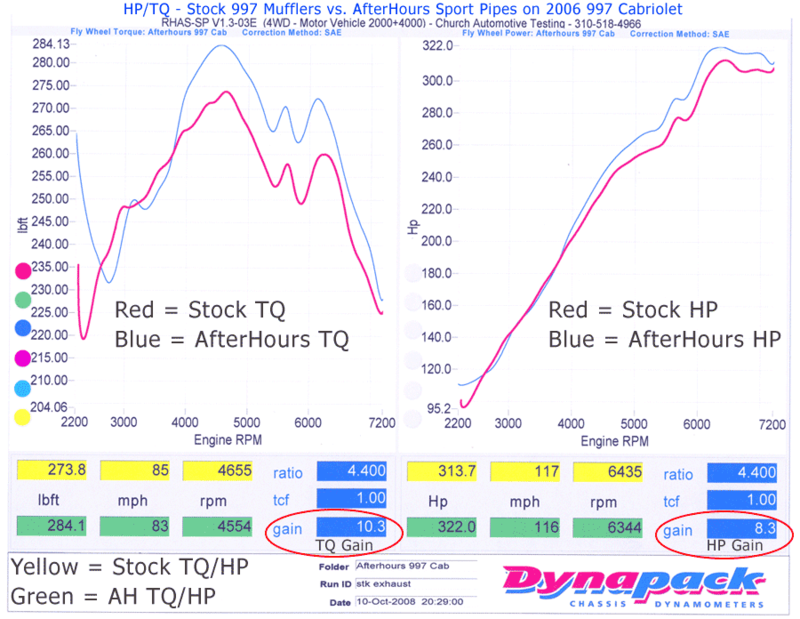 Sport Pipe installation is as easy as swapping mufflers, is smog legal, and will not cause CEL. 8.22 lbs each - very light weight vs. stock Porsche mufflers at 22.5lbs each! An insane sounding Porsche exhaust muffler that you can easily live with both on and off the track! 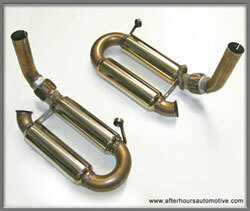 AfterHours Sport Pipes are designed to give your pcar maximum HP and TQ output, and is a simple muffler swap to install. 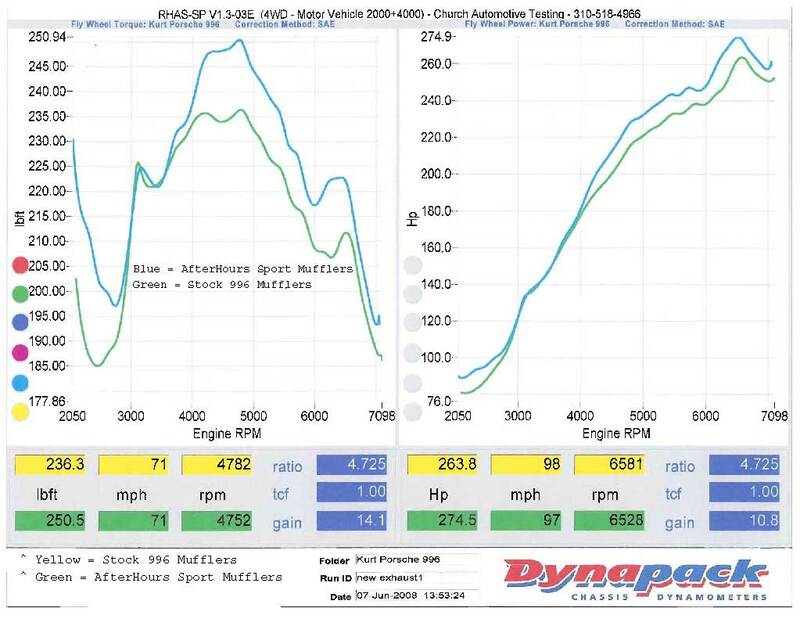 We've done a number of dyno tests on both 996 and 997 cars and the results have shown consistent performance inprovements of around 10hp / 12tq at the wheels. 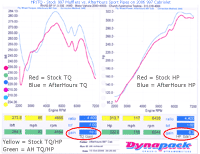 All dyno tests were done with stock cats, stock headers, and stock ECU software. *These clips are higher video quality than normal, if the video is choppy or stalls just rewind a bit and then continue playing. 997 Sound Levels, Drive-by, Take off etc.